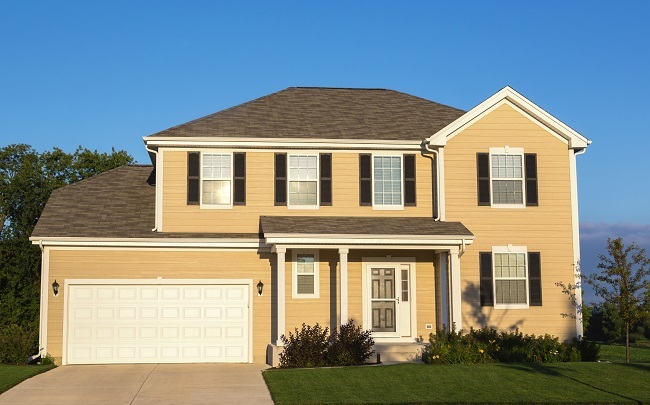 Not only does a fresh coat of paint on your home’s exterior help to keep it looking beautiful by boosting its curb-appeal, but having a good paint job on your home is also vital in protecting your home’s siding from the elements such as sun and water damage. Yet, how will you know when it is time to repaint your home? Here are just a few of the signs you can look out for indicating that you should consider having your home painted. Over time your home’s paint job will likely begin to fade, and the color will not look as vibrant as it once did. You will likely begin to notice this fading the most on the areas of your home that see the most sun, which is typically the south and west sides of a house. When your home’s paint has faded this means that the paint is beginning to fail and is likely not protecting your home as well as it once did. You will then need to plan on having your house painted in the near future if you notice fading. One of the most obvious signs that your home needs to be repainted is if you notice the paint peeling and lifting off of the surface of your home in strips or flakes. If you notice that your paint is peeling, it is critical that you have your home repainted as soon as possible. Even if it appears that only the top coat of paint is peeling and no wood or stucco is exposed, peeling paint leaves your home susceptible to water damage and your home will need to be repainted. As your home’s paint begins to fail it may begin to become brittle and cracked in a way that resembles the skin of an alligator. Alligator texture is generally an indication that moisture is beginning to penetrate the paint, and you will need to have your home repainted before severe water damage occurs. Contact us to learn more about how you will know when it is time to repaint your home.